Since opening the doors of its first office in 1986, Anton Paar USA has prided itself in making top customer service its leading priority. Over 30 years later, that remains unchanged. With four regional headquarter offices, Anton Paar USA can offer better, more personalized, and highly efficient service to all customers. All customers are welcome to contact any office at any time. We will make sure they are directed to the right place and the right staff member. All four offices are fully equipped for service and repairs as well as laboratory demonstrations and application testing. The regional structure allows for increased phone support: Anton Paar USA provides customer support for all USA time zones for the entire duration of the business day. 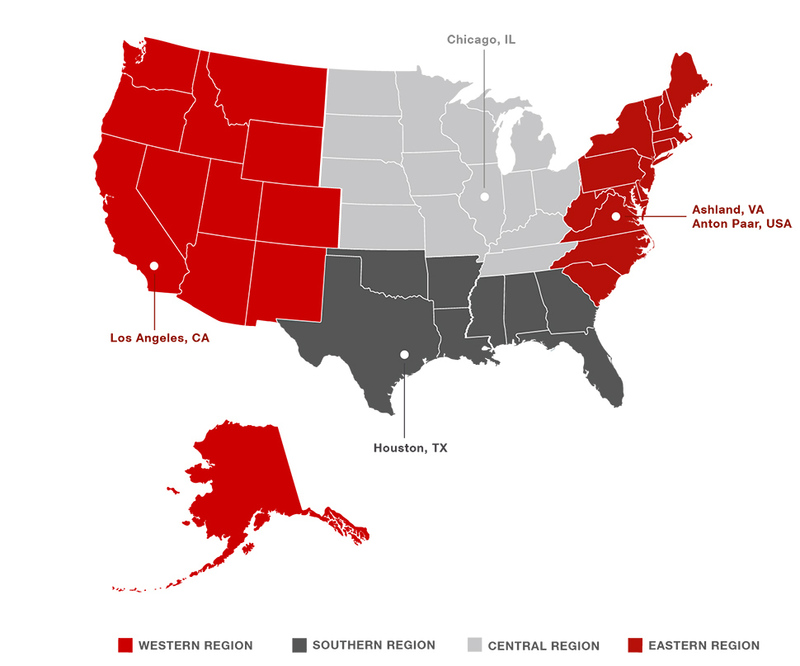 To learn more about the regional structure of Anton Paar USA, head over to the information page for regional maps and contact information. As always, Anton Paar’s priority is its customers’ success. The new structure will go a long way in helping achieve this goal.